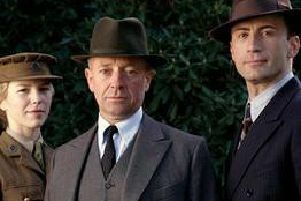 Freeview is a haven for past detective and private eye series. We take a look at some of the series still being shown - and those waiting for an outing. Banacek was an American detective TV series starring George Peppard. '' Thomas Banacek, a suave, Polish-American freelance investigator based in Boston, who solved seemingly impossible thefts. ''He then collected from the insurance companies 10% of the insured value of the recovered property. William Conrad played private detective Frank Cannon in the TV series. Hamish Macbeth is a police constable in the small Scottish town of Lochdubh, who occasionally bends the rules when it suits him or when it can help some of his fellow eccentric townsfolk. ''Robert Carlyle played the title role. McMillan and Wife revolved around a 40-ish San Francisco police commissioner, Stuart McMillan (Rock Hudson) and his attractive, bright and affable 20-something wife Sally (Susan Saint James). ''Often, the storylines featured Mac and Sally attending fashionable parties and charity benefits before solving robberies and murders. ''John Schuck appeared as McMillan's likeable, if somewhat bumbling aide Sgt Charles Enright and Nancy Walker was Mildred, the couple's sarcastic, hard-drinking maid, both characters serving as comic relief.